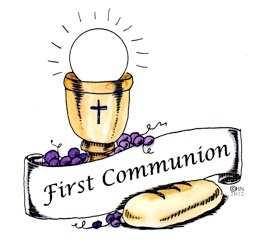 What is 1st Holy Communion? Are you Registering your child for 1st Holy Communion this year? First Holy Communion is a wonderful moment in a child’s life and represents a sign of growth in the knowledge and love of God for each and every child. Parents who put forward their child or children for First Holy Communion are fulfilling the vow they made publicly at the baptism some years before to be the ‘first and best teachers of the child in the ways of faith’. Now they must more actively fulfill this vow. The celebration of First Holy Communion each year is primarily a parish community celebration. There is naturally therefore some expectation that the family practice their faith in the community. 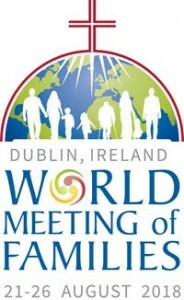 The parish will give every help to parents and children. The support of parents for this and other elements of the programme cannot be emphasised enough. When do 1st Holy Communions take place? 1st Holy Communions usually take place during May at one of the Sunday masses in the Church.